It’s really incredible how video has become such a major part of the Internet. On YouTube alone, users watch hundreds of millions of hours of video every day. But I think of my own Internet consumption. I try to limit the number of apps and sites I visit. I don’t want to commit to too much regular visiting. I do experiment with new sources, but try to avoid committing unless I really like it. YouTube is a regular destination for me both on my computer, phone and tablet. Video is just a great way to gain content, both educational and entertaining. I suppose it’s always been that way since video first came into our lives with movies and television. Today, though, it’s pretty easy for businesses to get involved in video marketing. It seems easy to produce a video and put it on YouTube. And that’s true, it is easy to do that. But that alone is not a video marketing strategy. Today we’re going to get into how you can create a video marketing strategy for your business. It’s important to have goals for any marketing effort. Setting goals is always a balance to find something that pushes those involved to achieve as much as they possibly can while still maintaining reasonable expectations. A good goal for a business might be to maintain a profit every year. That’s reasonable, is good for the business and still allows the team to grow the business as long as it remains profitable every year. And in down times it pushes the team to push to achieve profit as well. A good goal for a video marketing effort might be to produce one video per month. There can certainly be more involved than that, but I like to stick with what can be controlled by those involved. Promotion can be part of it as well like sharing each video 50 times during the year, reaching out to industry influencers 2 times each month to share the video with them, etc. Focus goals on what you can control. You can’t always control number of views, but the efforts of creating one video per month and sharing the each video 50 times per year should lead to an increase in views. This is something that creeps into some new marketing efforts. If all stakeholders in the business aren’t on board with the effort at least a little then the effort is likely doomed before it gets off the ground. It’s hard for nearly everyone in the business to be on board especially larger companies. But the least that should be done is getting people on board with giving the effort a fair shake. Maybe that means trying the effort for 2 years and assessing at that point. And if people are against it then it might be a notice that it’s not the right marketing effort for the company right now. Get everyone on board with trying video marketing. When everyone is at leas ton board with giving the effort a chance you’ll have everyone working to make it work or at least not working against it. And try to get buy-in for more than a few months. You can get noticeable results in that time, but with online marketing, like offline marketing, you’re still only going to likely see results after a few years. This one is important. All too often I see companies commit to a new marketing effort while not committing enough resources. And usually it’s not money, but people or least one’s energy. We see it with blogging where a company wants to commit to one post each week. It doesn’t seem like much. It seems like one person should be able to take an hour out of their 40 hour week and write a post. But there is more involved than that. There is finding topics, developing titles and putting those in a calendar. There is research, then writing and some editing. Then there is uploading, formatting and scheduling on the blog. It gets to be beyond the expected workload and before too long the effort is abandoned. So with video it’s important to commit resources. That probably means having a full-time person in charge of video. That’s probably a bare minimum. 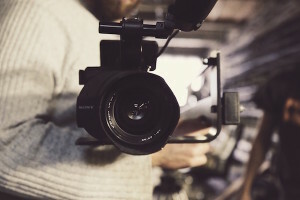 It might involve outsourcing all or some of the video effort, which likely includes developing a strategy, forming topics, shooting, editing and promoting and more. I think a good place to start when it comes to developing a strategy is to look at what’s being done. You can get a pretty good idea of what’s working already for companies that are your competitors and those that are complementary. Why try to start from scratch? Your target customers are already telling you what they like by the videos they’re watching. So start by looking at what’s working in the industry and in related industries and you’ll have a big time head start on where you should be when you begin your efforts. With that said, you don’t want to simply copy what’s already being done. The way business works, and you know this, is to take what’s working already and look for ways to improve it without deviating too much. There is a difference between doing something from scratch with no direction and taking cues from what’s already working and looking to improve on it. But sometimes viewers won’t come out and say what they want. That’s when it gets tough and where you can innovate and make something better than what’s out there. I think for any marketing effort, both offline and online, is a commitment to consistency. And that means consistency on multiple levels. That is in terms of both quality and frequency of publishing. You can commit to a certain quality standard and make sure you at least hit that mark every time or exceed it. There might be times when you don’t achieve that, but look for limiting those times so that you’re always going in the right direction. It also means committing to a schedule such as one new video per month for two years. That will put you at 24 videos by that time and from that you should have a good idea of if the strategy will work at that point. But too often the commitment is not in that form and after a few months the entire effort is abandoned. Sometimes there are a number of videos made all at once and then abandoned. The effort runs out of steam. Commit to a schedule and to a quality and stick with it for the timeline your team agrees on. There will be times when it’s easier than others, but always commit to sticking with the same effort and it will pay off over time. I don’t like the idea of assessing results and making sweeping changes. That can sound good on the surface, but it rarely results in success. It certainly can, but usually not. If you’re going to put all this time upfront in assessing what will work then you have to commit to it. You can certainly make alterations to the main plan, but never look at lurching around and making a complete change to the strategy. It might be just better to forget the video marketing effort all together. I like the comparison to your website. You put in effort to get a website live. From there your website is never “done”. You will learn what’s working and make tweaks to the design and to the content. That’s a good thing. But you don’t look at a metric like conversion and jump right to redesigning the entire website. That will rarely work and you’ll waste a lot more money. Calculated changes, tweaks are the way to go while sticking with the strategy you built originally or perhaps tweaking the strategy so that over time it evolves into something different. So there you have it – a guideline for creating a video marketing strategy for your business. It’s similar to other marketing strategies you’ve probably developed or could develop. The key elements above will involve specific items like choosing a video platform, choosing a style of video, but that comes within the point on assessing what is working for the competition and in complementary industries. Go through these steps above and when you’re done you’ll have a very good video strategy that has a good chance of success for bringing new business to your company. It’s not guaranteed, but it can be likely by following these steps.